Deanna Teramoto earned her Bachelor of Science degree from the University of California, Los Angeles (UCLA) and her Master of Science degree from the University of Arizona (UA). She has been a part of the CLC family since January, 2006, and was previously their Social Skills Group Program Director and Speech Therapy Department Manager. 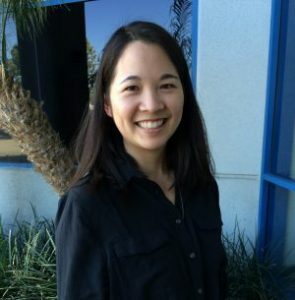 She has also worked at Chapman University as Adjunct Faculty for their Speech-Language Pathology graduate program. Deanna enjoys CLC’s collaborative, family-friendly, developmental approach to treatment, viewing each child not as a disorder, but as a unique individual. Her interests include spending time with her husband and son, visiting family (and eating) in Hawaii, and participating in various church activities.